Who are the true denialists? | Watts Up With That? Who are the true denialists? People have the nasty habit of giving their opponents names. Those who are convinced that humans are wrecking the world by burning fossil fuels call those who don’t believe them “denialists.” It implies that they are close to the Holocaust deniers, and so are clearly beyond the pale. I have come to the conclusion that they are wrong. The true denialists are those who believe in global warming, and who will go to any lengths to deny the evidence against that position. For instance, the final draft of the Fifth Assessment Report of IPCC’s Working Group 1 concerns itself with observations of the climate and how it might change in future. Within minutes of it being released, skeptics had noted that a key figure, which compared predicted temperatures to measurements, had been drastically altered after the second draft had been approved. In the second draft, the observations lay below the lowest range in the predictions, and seemed to be getting further from the predictions as time went by. In the final version, the measurements had been pushed up and the predictions had been pushed sideways and Voila! the revised measurements now fell within the range of the changed predictions. Really! Grown men did this! Consciously! And honestly thought that no-one would notice. That’s the trouble with calling people names. Before you know where you are, you have convinced yourself that they are stupid, too. And there were lots of similar examples. In the Summary for Policy Makers, the scientists had said “It is extremely likely that more than half of the observed increase in global average surface temperature from 1951 to 2010 was caused by the anthropogenic increase in greenhouse gas concentrations and other anthropogenic forcings together.” The politicians did not like this, so they added a juicy version “It is extremely likely that human influence has been the dominant cause of the observed warming since the mid-20th century.” Suddenly “more than half” had morphed into “dominant cause.” That way, no one might be left with the idea that the scientists had actually said there was a reasonable chance that quite a lot of the warming was entirely natural. These are sections through the atmosphere, from the South Pole on the left to the North Pole on the right. Instead of altitude they give the pressure in ‘hectoPascals” which is sort of unfamiliar to most people, but 400 is around 8km up and 200 around 12km. “Good consistency” is shown by the stippling – Stippling denotes regions where the multi-model ensemble mean divided by the multi-model standard deviation exceeds 1.0 (in magnitude) reads the caption. You can clearly see the flattened ‘bubble’ getting hotter as the century goes by. The models predict that, in that region, the atmosphere should warm at about 0.6 degrees Centigrade per decade, far faster than on the surface of the Earth. Weather balloons have flown into that region for 60 years. Airliners have carried commuters at those altitudes for 40. The temperature can be inferred from satellite measurements. None of these methods have managed to find any evidence of warming at anything like 0.6 degrees Centigrade per decade. The thermometers suggest slight cooling; the satellites slight warming. I concluded my review saying “not even the satellite data comes near the predictions that were made in AR4 – the discrepancy between ALL the data and the models is wide. This debate MUST be reflected in the text.” So the IPCC had been told where to look – it is their job to review the peer-reviewed literature – and had been told that there was a debate because the measurements disagreed with the models. What did they do? So the data were apparently wrong! Notice that? No Upper Troposphere – none, silence! Likewise, there is a Figure 2.24 which shows some Lower Troposphere trends, but is equally silent on the Upper Troposphere. And that is the full extent of the discussion of the problem in the latest Report. The previous Assessment made a great song and dance about warming in the intratropical upper troposphere, the present Assessment completely avoids the issue. Now you could well ask “So what?” The significance is that this goes to the heart of the physics on which all the models used to make predictions are based. If you have watched “The Great Global Warming Swindle,” you will have seen the critic, Richard Lindzen of MIT, speaking about how the Upper Troposphere should be warming. The physics of the atmosphere, as generally understood by all scientists of whatever global warming persuasion, require it should be warming faster than the surface of the earth. There is consensus – but the data show the consensus to be wrong. Therefore the models are wrong. It only takes one clearcut observation to destroy the integrity of a scientific thesis. The physics underlying all the models is wrong – and we don’t know why. Moreover, the IPCC is demonstrably skirting the issue, telling us that “the observations substantially limit the ability to draw robust and consistent inferences.” What utter nonsense! By any measure, the IPCC and its supporters are the true denialists, but it would be wrong of me to use such a word to describe them. So let’s just say they are attempting to deceive, and have done with it. Professor Philip Lloyd is from the Energy Institute, Cape Peninsula University of Technology, Cape Town S.A.
← Virginia is for warmers? Data says no. Lying, liars or deceit? None is a description of which I would be proud if I was an IPCC scientist. I eagerly await the MSM to become aware of this inconvenient measurement. Outrageous! Dr. Frankenstein seems like a very ethical scientist compared with the IPCC charlatans. The word denier is a quai-religious term. It infers that that you fail to believe, and that you do not belong to a group of believers. It is a really strange word to use in a debate about science. What is the science behind why the upper troposphere should be warming? Please point me, thanks! In other words the IPCC continue to work in their normal way , a fully ‘political’ organisation whose first priority is to ensure that IPCC keeps existing and that those that enable this get the ‘answers they need’ Its standard UN practice we see at work here and nothing to do with ‘science’ at all. Projection (calling us deniers) is what the left is all about. It’s also what liars do when they know they’re lying and do it to try and deflect away from their own lie. Nah, it harshes the message and no one on the IPCC wants to be the bearer of bad news. They all know the theory is incomplete and they are simply waiting for a big El Nino or Volcano to bail them out. If in five or ten years it gets colder they will just revise the forcings downward again. Time is on their side and they are just playing the odds. There is absolutely zero reason for anyone to upset the gravy train. It is a confession that the accuser has no proof on offer for their position. For if they did, they could simply hand it to you. At which point, you would accept the proof unless you were wholly irrational. But “Because, I believe that…” or “Because lots of people believe that…” or “Because the Top Men believe that…” have never been valid proof of a claim. Not that there’s anything wrong with Ad Homs in general. Nothing makes a good polemic quite like the color commentary included with it. And poetry would be terribly boring without allusion or analogy. But an Ad Hom is not an argument, and cannot carry one. Even if it is useful for humor or ridicule when presented with an argument. But when the Ad Hom carries the argument, it is done so as there is no proof available for the accusers Deeply Held Faith. For if they had any, they would hardly need to avoid its presentation. 3. Therefore, attempting to discredit the latter by amalgamating it with the former by using the term ‘climate change denier’ is unfair. Boo-hoo. Some German greens campaigned for climate change denial to be listed alongside holocaust denial, and therefore made an imprisonable offense. The response of the climate change skeptics was predictable: WE’RE not like holocaust deniers! Don’t make US illegal! There are two issues here. One is whether it is acceptable to defend a particular hypothesis, and the other is whether it is true. It is crucial not to get the two mixed up. I don’t defend climate change skeptics against slander and potential persecution because I think they are probably right, although I DO think they are probably right. It is the same with ‘holocaust deniers’, whom I happen to think are probably wrong. Defense of their freedom should be completely independent of how wrong you think they are. Defending climate skeptics against the D-word (denier, denialist) by complaining that it amalgamates them with skeptics about the German holocaust is illogical, and it also waves a white flag at the opponents of freedom. “When I use a word, it means what I want it to mean. No More. No less” ? Someone will get their words come back and bite them, I suggest! And all for absolutely no measurable let alone perceivable results except the increasing pauperisation of a rapidly increasing number of earth’s citizens. Let alone is there any proof at all of any perceivable benefits arising from this immense expenditure of wealth and resources for either mankind or the global climate or both..
Stephen, thank you for posting the TEDx video. I like his comment about “remaining agnostic and rephrase the question” even though it feels like cheating. What we see from the IPCC is a refusal to be agnostic, and hide the cheating part. He does it on purpose to test his theory and admits the cheating. They do not, and call it fact. Unfortunately, Professor, It’s not only the IPCC. All the professional scientific establishment, bodies like the APS and the Royal Society, endorse the IPCC. If a lot of scientists don’t like this, I wonder what it is they’re doing about it? It is so widely known now and on so many levels that they are not only wrong but constantly forging results to be negative and anti-fossil fuels, anti-industrialization, anti-civilization and anti-human – I’m amazed that any of them can look into a camera and dare to so openly lie, and not find themselves immediately surrounded by an angry crowd. They are on a super rich banquet of a meal-ticket with this, but when this comes crashing down – and it will – it’s likely to bring the whole of the UN with it. I would like to see that very much, the UN is the nest from which all this sprung, generation after generation. However, have any of these charlatans thought of that? As they’re all about prediction and projection, how about they run some of those models and take a look at their own future in the short and long term. Not a pretty sight. If they want to save their skins, sooner or later they’ll have to let go of the cash. Sooner or later, too, there’ll be a race to see who can dob in his or her mates first. They’ll be throwing each other to the wolves. If any of these guys are reading this, please look around you at your comrades, each one in it for the money, in it to bring down capitalism and destroy the economy, each one willing to cheat and lie and steal so long as it serves the Cause. Do you trust them? Really? Which one of them is going to throw YOU under a bus to save his or her own neck or dodge doing time? This is going to get very, very ugly. If you all were to drop the game and slink away, somehow pretending that this whole global warming thing had never happened – everybody might make it. But if the good citizens of the Earth have to tear it down, and the UN too, everything will be out in the open, including all the tricks and cheating, all the emails, all the conniving. People will be held accountable and if they are looking at serving serious time, they’ll be squealing like piglets and pointing at anyone or anything that moves. Someone is going to be left holding the baby. Will it be you? The IPCC models come out of the same desire and with the same purpose. Sociologist Daniel Bell in the 60s said “we need a political rationale to justify the desired planned society” and systems thinking would fit the bill. In all of these aspirations we have a scientifically false model of the current physical world being created to justify using the social sciences, including especially pedagogy and education, to actually change the future nature of society and how the economy works. We will keep spinning our wheels until we accept this is not actually a hard, physical science legitimate debate. “The physics underlying all the models is wrong – and we don’t know why”. Could it be because you are missing the bleeding obvious? How much of a GHE could be expected to be associated with a greenhouse which has no roof, or walls? @ A. D. Everard (re: insightfully pointed mene, mene, tekel upharsin (Daniel) denouncement at 1:33pm, today) Go, A. D.! You may be “off the grid,” A. D., but you are right ON TARGET. “‘A house divided…,'” (Jeshua) is going to fall. Repent — or devour one another, O Envirostalinist Snakes. If you plan to repent, you had best be quick about it; you have become a stench in the nostrils (Isaiah). You keep trying to ram your Cult of Climastrology garbage religion down our throats, you science f1ends, so I gave you a little taste of mine. You, the false prophets, versus God, the Creator of the Universe, lol. TRUTH will win the war. 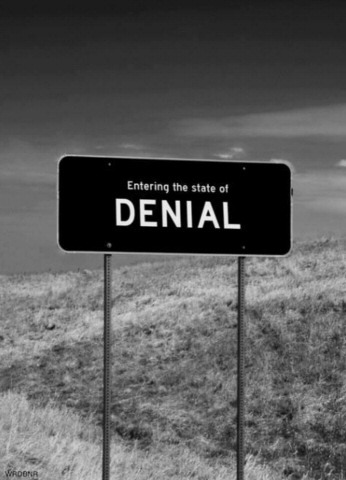 The word denial entered the English language in 1914 via Brill’s translation of Sigmund Freud’s “The psychopathology of everyday life” and specifically referred to the “unconscious suppression of discomforting realisations”. It’s interesting that it’s application to individuals who were skeptical about aspects of the IPCC’s authoritative position on the certainty of its findings about the risk of anthropogenic climate change was popularised by a psychologist (Lewandowsky), clearly as an ad hominem slur. Warmists avoid the predicted “hot spot” like the plague. They know it represents falsification of their speculation. Off course totally off topic, but well worth spending 12 minutes watching . Steven Mosher, I am not about to use my PAID FOR bandwidth watching your posted video. Can you please in future let us know what’s there? It’s like someone posting a link with no comment, but worse. A true denier denies that his(her) knowledge is limited. Does that video have some relevance to this thread (in which case could you illuminate?) or did you post the wrong link by mistake? Let’s get this denier thing straight. 1) I accept that co2 is a greenhouse gas, in fact I insist it is. 2) I accept that co2 warming is logarithmic not linear. 4) I accept natural climate change is stronger than we previously thought! 5) I accept no global surface warming for at least 16 years. 6) I accept the holocaust occurred, in fact I insist on this as a well documented fact. 7) I accept that tens of thousands die each year in the UK due to cold (excess winter deaths). There are a lot of things I accept in life, but tow things I cannot yet accept are the missing hotspot and the missing feedback loop water vapor amplification without signs. Am I a denier of non-observations? I guess these two things make me a denier of no evidence. “The true denialists are those who believe in global warming, and who will go to any lengths to deny the evidence against that position.”. So you include your host here then? After all, the belief that CO2 must do some warming ‘against all the evidence’ is there. …The IPCC models come out of the same desire and with the same purpose. Sociologist Daniel Bell in the 60s said “we need a political rationale to justify the desired planned society” and systems thinking would fit the bill. In all of these aspirations we have a scientifically false model of the current physical world being created to justify using the social sciences, including especially pedagogy and education, to actually change the future nature of society and how the economy works. Apologists for Marxism contend that Marx did not intend that this statement should be taken literally. They affirm that he was referring to the gradual elimination of property owners by the transformation of the economic system which Communism would bring to pass. They cannot deny, however, that many followers of Karl Marx, including Stalin, Mao Tse-tung, and Pol Pot have taken this affirmation literally and have proceeded to kill the “middle-class owners of property” once they have acquired power. To determine whether Marx intended this instruction to be taken literally, it is necessary to review the doctrines and objectives which Marx presented to his followers…. Marx envisioned the creation of a new superior individual who would create a new society of unlimited abundance and freedom. It was the creation of a new earth, if not a new heaven, wherein “the redeemed” would dwell. This new man would be devoid of selfishness, greed, laziness, aggression, envy, malice, hate, and fear. He would be perfectly healthy, supremely intelligent, industrious, tolerant, generous and infinitely talented…. If you understand the actual goal, wiping out the middle class who are an ongoing threat to the wealthy, and the tools, Marxism and CAGW, then a lot of the ‘idiocy’ in government today makes sense such as the collection of DNA from all babies born in the UK and many if not all babies and other individuals (those arrested) in the USA. A necessity for determining what genes cause antisocial behavior and what babies might have those genes. Of course there has also been much work done identifying the genetic component of the tendency towards various illnesses. One wonders if there is a large data base linking the DNA to the child and what he says on facebook…. Exactly what reality am I denying? Are computer model projections reality or fantasy? Is the tropical tropospheric hotspot reality or fantasy? Is stratospheric cooling since 1995 reality or fantasy? Is the earlier projections of 0.3 degrees C per decade global average temperature increase over the last decade and a half reality or fantasy? Are the billions of climate refugees’ reality or fantasy? Is the CO2 dominated global climate reality or fantasy? Are the projected future costs of adapting to a projected future climate reality or fantasy? Is the Maldives conducting it’s affairs below water reality or fantasy? Is the cost of mitigating climate change being something only the fossil fuel interests will have to endure reality or fantasy? Is the well organized and funded denial machine reality or fantasy? Would that be the host whose reputation and legendary complacency depends on the theory that CO2 definitely causes surface warming, but has no idea of the magnitude of that effect? It should be possible to be a little bit pregnant with error bars that wide. The Testimonials. And how dare you question your betters? Be sure to let me know if you need any further references. I don’t think that natural climate change is stronger than skeptics thought, but is much worse than CACA advocates previously thought. They’re now having to embrace it to explain observations, much as Young Earth creationists have to embrace extremely rapid evolution to explain how the numerous present species could have arisen in just 4500 years from the “kinds” on Noah’s Ark, which must have been something between families & orders to have a chance of fitting on the boat (although even that level won’t do it; but a kind has to be less than a Linnaean order, since both ravens & doves were aboard). In science admitting you do not know is sometimes the beginning of acquiring knew knowledge. Without “I wonder” and “I do not know”, civilization would not exist. BTW How old are you twelve? Without “I wonder” and “I do not know civilization” would not exist. Let’s try re-punctuating that for proper effect, shall we? Without “I wonder” and “I do not know” civilization would not exist. BTW, how old are you, twelve? The physics underlying all the models is wrong – and we don’t know why. Moreover, the IPCC is demonstrably skirting the issue, telling us that “the observations substantially limit the ability to draw robust and consistent inferences.” What utter nonsense! How true. And the way they are approaching the atmospheric physics they will never be able to explain why temperatures never continued to follow co2 concentrations upward as expected, but they will continue to try, with further adjustments. Keep your eyes on the pea. And it’s not using systems thinking that leads us to discover unintended consequences from our actions. Systems thinking has been defined as an approach to problem solving, by viewing “problems” as parts of an overall system, rather than reacting to specific parts, outcomes or events and potentially contributing to further development of unintended consequences. Systems thinking is not one thing but a set of habits or practices within a framework that is based on the belief that the component parts of a system can best be understood in the context of relationships with each other and with other systems, rather than in isolation. Systems thinking focuses on cyclical rather than linear cause and effect. As the man who taught me this (agriculturalist Jim Wilson) said (and I paraphrase here) we seem to spend an awful amount of resources rescuing people from the river without ever going upstream to see who, or what is making them fall in the water. Your quote could be inferred to denigrate systems thinking; The Git believes that without a systematic approach we are doomed to rinse and repeat our many mistakes. Jim’s excellent book here and yes, I am remiss in not reviewing it yet. But then Amazon Books didn’t exist when I purchased it. Jim – you spared her the ‘knew’ atrocity, when she meant ‘new’, as in ‘knew knowledge’. The epitome of her unintended irony went unnoticed by her. “Science”. From the latin stem “scio”, which means “I know”. So she knows what she doesn’t know. I have to accept that I don’t know what I don’t know. When I took on a senior lecturer regarding a historical hypothesis, he and the author of a book announced me and another could be likened to holocaust deniers, JFK assassination conspiracy theorists and climate change deniers. However, someone in the audience questioned this description, and he backed off the holocaust deniers, saying well no one died of course in this comparison. I was an on going graduate of this university, and I tell you now I just passed my second degree. Anyway, I passed. Well it is their job, not mine, eh? Talking about the lecture, remember and I think I am right, Earth is hurtling through space at abut 65K per second I believe, wouldn’t this also affect our energy? I would like someone who knows more about this to explain. @Gail Combs (Gail combs what? The suspense is electrifying). Just to point out that admitting there is something that you do not know, yet choosing to believe in it anyway, does not intersect science at any point. You are describing faith, or activism for a cause. Neither has a place in science. You have to work hard to miss the point so thoroughly. I applaud your efforts. As a farmer [ ret ] an interesting comment above. I have done my very small bit to change agriculture and have had a role in initiating another possible / potential project which might one day hopefully / possibly involve some significant changes to the way we do some herbicide resistant weed control here in southern Australian agriculture. Systems thinking as described by yourself seems to be the sometimes called “conceptual thinking” or more colloquially “a big picture man” or thinker. Conceptual thinking / systems thinking; where the entire situation to be analysed is seen as a whole and then the pattern is broken down into the individual parts of the whole which are then analysed as to their structure and how and where they fit into making up the whole. Not a very common entirely natural attribute at all so I am led to believe and i suspect very difficult to learn to do thoroughly as most of anybody’s basic thought patterns and situation analysis patterns are probably already ingrained at birth. Was told by a psychologist many years , er!, decades ago that I was a conceptual thinker and a big picture man for what that is worth which is probably not much..
* perceive and imagine, predict and hypothesize, and to conclude and reflect. * plan to achieve the optimum outcome. Conceptual thinkers are fascinated by concepts, ideas, relationships and philosophies. They ask lots of questions and deliberately think things through. Interesting angle on denial – they are denying the facts they do not like. Given the 123 peer reviewed papers they ignored, I think the good Professor had got a great point. If we don’t believe in free speech for those we don’t agree with then we don’t believe in free speech. Mosh. Thanks for the video. Great to see that type of thinking in action. 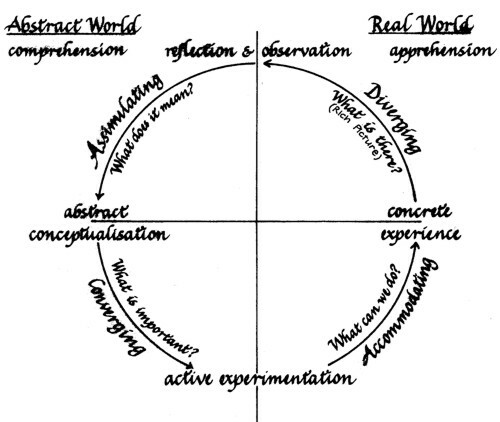 Come up with a theory and refine it based on observations of reality. What a concept. I’ve always loved Einstein for the simple fact that he was honest about his work calling the cosmological constant “the greatest blunder of my life”. He may have been wrong about that or right. Time will tell. If the normal process of science had not been interrupted by the climate wars, the response to multiple connected paradoxes (an observation or analysis result which is physically impossible if the hypothesis and its related mechanisms are correct) is for multiple review papers to be written that summarize the observations and theory to clarify the implications of the paradoxes and along with proposed high level alternative hypotheses to resolve the paradoxes. The fact that the predicted tropospheric warming is not observed indicates that there is at least one fundamental error in the general circulation models. 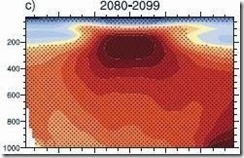 Lindzen and Choi’s finding that the tropical region resists (negative feedback) forcing changes by increasing or decreasing cloud cover in the tropics could explain the fact that the predicted hot spot troposphere at 8 km to 10 km above the surface of the planet, does not physically occur, which falsifies CAGW as there is no amplification of the forcing. The tropical tropospheric hot spot is predicted to occur as the general circulation models assumed planetary cloud cover either stays the same or decreases when the planet warms. As there is more water vapor in the atmosphere when the planet warms if planetary cloud does not increase or decrease, the increase in water vapour causes the planet to warm due to the greenhouse effect of the water (positive feedback). There are however other paradoxes (the latitude warming paradox, the cyclic warming and cooling paradox, the cause follows the effect paradox, the lack of correlation paradox, and so on). The paradoxes indicate that the CO2 mechanism saturates, which is a paradox, something that is not possible if the assumptions concerning the atmosphere and the modeling of the CO2 mechanism is correct. It follows as there are a group of logically connected paradoxes that the majority of the warming in the last 70 years, not caused the increased in atmospheric CO2 and was caused by the same mechanism that caused past warming and cooling cycles (solar magnetic cycle changes). The CO2 greenhouse mechanism has been confirmed in laboratory experiments; however the laboratory experiments must be extrapolated to the general atmospheric modeling which requires assumptions and simplifications. This paper notes for six out of seven times in the recent past planetary temperature rises and then CO2 increases; `The cause follows the effect paradox.` The same paper notes a second paradox (note the two paradoxes are independent, the Realclimate blog ignored `the cause follows the effect paradox` and did not consider the implications of the heat hiding in the ocean observation from the standpoint of CO2 sources and sinks) , the increase in atmospheric CO2 does not track anthropogenic CO2 emissions. The second paradox would be explained by increased mixing of deep ocean waters with surface waters which will then dampen both temperature increases and CO2 increases. i.e. If heat is hiding in the ocean, then the ocean can absorb significantly more anthropogenic or volcanic emitted CO2 which works to stabilize atmospheric CO2. As the ocean holds 32 times more CO2 than the atmosphere, anthropogenic CO2 emissions has a very small effect. The majority of the increases in atmospheric CO2 increases in the last 70 years therefore are from increases in ocean temperature rather than anthropogenic CO2. …As cause always must precede effect, this observation demonstrates that modern changes in temperatures are generally not induced by changes in atmospheric CO2. Indeed, the sequence of events is seen to be the opposite: temperature changes are taking place before the corresponding CO2 changes occur. As the theoretical initial temperature effect of changes in atmospheric CO2 must materialize first in the troposphere, and then subsequently at the planet surface (land and ocean), our diagrams 2–8 reveal that the common notion of globally dominant temperature controls exercised by atmospheric CO2 is in need of reassessment. Empirical observations indicate that changes in temperature generally are driving changes in atmospheric CO2, and not the other way around…. …A main control on atmospheric CO2 appears to be the ocean surface temperature, and it remains a possibility that a significant part of the overall increase of atmospheric CO2 since at least 1958 (start of Mauna Loa observations) simply reflects the gradual warming of the oceans, as a result of the prolonged period of high solar activity since 1920 (Solanki et al., 2004). Based on the GISP2 ice core proxy record from Greenland it has previously been pointed out that the present period of warming since 1850 to a high degree may be explained by a natural c. 1100 yr periodic temperature variation (Humlum et al., 2011). …. Put differently, Systems Thinkers understand what Ceteris Paribus means. Kolb provided what was called a Learning Style Inventory that was designed to reveal where your strengths lie in the learning quadrant. Knowing what learning style is favoured by particular individuals enables far more effective training. It also helps when building problem-solving teams. You can build more effective teams with a balance between individuals haviung different learning style preferences. Systems thinking goes a step beyond Kolb. Once you have gone through the four processes you are ready to repeat the process. Jim called this the Hawksbury Spiral. Thanks for that. Funniest thing I’ve read in ages. The mean over the standard deviation being less than one is not a suitable criteria of consistency by any definition. Two standard deviations either side of a mean is supposed to cover most variations. So if I have a mean of say 1000 and a standard deviation of 900 this means that most of my variability will be accounted for between -800 and 2800. Under what schema is this good consistency? I’ve still got a hell of a lot of learning to do and so many interesting things to follow up on but at 75 years old, not much time left to do it in unfortunately. So, the atmospheric tail does not wag the oceanic dog, as I’ve been telling anyone who’ll listen for the last 5 years. Does Willis still think it’s the atmospheric greenhouse radiative effect which “does the heavy lifting” ? November 9, 2013 at 3:35 pm	– Thanks Jimbo – I have added this useful summary to my juicy titbit file which I get out and use to bait Guardian readers when their views on CAGW get on my nerves. So in your definition of science those two concepts have no place. P.S. My spelling problems are the result of an experiment run on the kids in my school. We were never taught to read using phonetics which really messed up my ability to spell and to read out loud. They used something they called the “See and Say Method” For me it is word to concept without any verbalization. I read very very fast but my spelling, pronunciation and editing abilities stink. This is what it was called in 1953 when I was supposedly taught to read in 1st grade. This was in public school in Orlando, FL. My mother did not know that I didn’t know how to read until after the 1st grade. I had not been taught phonics at all. All through school I had trouble reading and my parents had to hire a tutor for 7th grade Geography, which required massive reading assignments. Needless to say, I did not enjoy reading…. It is, I think, close to the Look and Say Teaching Method although they never used flashcards on us. The method is still used today and the results are not good. Eight years ago, a national survey on adult literacy offered data on the extent to which Americans — even those with college credentials — were declining in their proficiency to do the basic kinds of reading people use in everyday life…. The Survey of Adult Skills by the Organization for Economic Cooperation and Development shows that despite having higher than average levels of educational attainment, adults in the United States have below-average basic literacy and numeracy skills. “It’s a worrisome result and it’s another reminder that we are not doing our job when it comes to education here…. At a personal level, calling someone by objectionable names is simply poor self-control. When the name calling becomes semi-official policy, it’s the start of dehumanising the opposition. As noted in my comment above, related to the tropical tropospheric lack of warming paradox, is the latitudinal temperature anomaly. The latitudinal temperature anomaly paradox is the fact that the majority of the observed warming in the last 70 years is in high latitudinal regions rather than in the tropics and the high latitude Northern hemispheric warming is four times as much as the tropics and twice as much as the earth as a whole. The latitudinal temperature anomaly paradox is the fact that latitudinal pattern of warming does match the pattern of warming that would occur if the increase in temperature was caused by the CO2 mechanism. Base on how the CO2 mechanisms works the entire planet should have warmed with the majority of the warming occurring in the tropics. As noted above that is not what is observed. The amount of CO2 warming is logarithmically proportional to the amount of CO2 in the atmosphere (which after a 12 month delay is more or less evenly distributed in the atmosphere) and the actual forcing is proportional to the amount of CO2 in the atmosphere and the amount of long wave radiation that is emitted at the latitude in question prior to the CO2 increase. As the planet is warmer in the tropics than at higher latitudes, there is more long wave radiation emitted to space in the tropics than at higher latitudes, therefore the majority of the warming due to CO2 warming should have occur in the tropics. As noted in the paper linked to below that is not what is observed. We have examined the temperature anomalies at the various latitudes enumerated above for three data sets: HadCRUT3v, and MSU_LT from UAH and from RSS. All show similar behavior. However, as explained above, we only present the results from MSU_LT_UAH. Figure 2 shows the UAH_LT anomalies for NoExtropics, Tropics, SoExtropics and Global. The average trends over the range 1979-2007 are 0.28, 0.08, 0.06 and 0.14 ºK/decade respectively. If the climate forcing were only from CO2 one would expect from property #2 (William: CO2 is after a lag of 12 months evenly distributed in the atmosphere) a small variation with latitude. However, it is noted that NoExtropics is 2 times that of the global and 4 times that of the Tropics. Thus one concludes that the climate forcing in the NoExtropics includes more than CO2 forcing. These non-CO2 effects include: land use [Peilke et al. 2007]; industrialization [McKitrick and Michaels (2007), Kalnay and Cai (2003), DeLaat and Maurellis (2006)]; high natural variability, and daily nocturnal effects [Walters et al. (2007)]. 1. The temperature latitudinal paradox and a second temperature anomaly ‘the Greenland/Antarctic ice sheet polar see-saw paradox’ are explained by nuances in the actual mechanism that caused the majority of warming in the last 70 years, solar magnetic cycle changes. Support for this assertion is the past cyclic warming and cooling paradox which is the fact there are cycles of warming and cooling in the paleorecord that correlate with solar magnetic cycle changes and that match the latitudinal pattern of warming observed in the last 70 years. 2. The following is a link to a complete draft copy of the paper noted in my above comment. In addition to the paradox that the increase in atmospheric CO2 occurs after the rise in temperature (cause follows rather than leads effect paradox) there is a CO2 latitudinal paradox, where the increase in atmospheric CO2 starts in the Southern hemisphere and moves to the Northern hemisphere which does not make sense as the majority of the anthropogenic CO2 emissions are in the Northern hemisphere. Pompous Git – I liked your link on the theory of learning by Kolb – will try to put his ideas into my head and practice them. Now I have to look up the meaning of Ceteris Paribus ! I think that once an argument descends into name calling, and the name calling is from the other side, you have won. Sigh, As I said my editing skills stink. Heck I am an agnostic so when I used the words “Do not know” and “I wonder” I mean exactly that and nothing else. Could CO2 have an effect on the climate? Possibly since the physics is there in that CO2 molecules in the atmosphere absorb and then transmit IR (infra-red) energy in all directions. However the net effect depends on what the rest of the system is doing. As far as what Gail combs it is equines. I will be out curry combing them as soon as the sun is up and after I feed water and hay everything. If only it was that simple! Slinging mud is a really effective tool to use after you have lost an argument, it really muddies things up, which allows one to escape you admitting you have lost. It is however the method of fools and cads, and in the end the mud slingers will be the losers because they have not moved themselves up to a new level of understanding, and eventually they are left behind. Michael Mann is a good example of this process working it way to a logical conclusion and outcome. Just goes to show we are all different. I was taught to read the same way as you. My jaw hit the floor when I first heard my kids doing the phonics thing. I couldn’t see what was wrong with the way I was taught reading, but phonics worked for them. Nobody that teaches by that method can explain to me why phonics starts with “ph”. Ffs. Your horses are fortunate to have such a nice owner. @Twattsup & @Gail Combs. There’s not a lot in the way of logic in either English grammar or spelling. It’s all fig leafs over the inexcusable. It’s the mongrel language you’d expect when an old Teutonic language collides with proto-French, courtesy of William the Conqueror, resulting in a bi-lingual country for two centuries. The definite article definitely means nothing since nouns don’t have genders and there’s always two ways of constructing a verb driven sentence. eg I’m going to go – Je vais aller in French, I will go – Ich werde gehen in German. It’s a wonderful field for linguistic archaeology. eg. Chair mutated from the same root word that became chaise, stool from Stuhl, which means a chair in present German. The conquers had chairs but the subjugated Saxons had nothing but stools. Incidentally, the continuous tenses, the inging in going are unique to English, with a tiny and precise equivalent in Spanish. Because of that double skeleton, English is a very easy language to learn but very hard to be accomplished in. Surely this is a hostage to warmist fortune? The real climate denier – one who wrongly believes greenhouse gases cause weather – is also a real Flat Earther, someone who cannot see the powerful outside forcing of Earth weather by the solar wind and magnetic linkages. People have the nasty habit of giving their opponents names. In the second draft, the observations lay below the lowest range in the predictions, and seemed to be getting further from the predictions as time went by. In the final version, the measurements had been pushed up and the predictions had been pushed sideways and Voila! the revised measurements now fell within the range of the changed predictions. And…For good reason. In the original version, the models had been aligned to agree with the temperature in one single year, 1990. As Bob Tisdale demonstrated (see Figure 7 here: http://wattsupwiththat.com/2013/10/26/tamino-resorts-to-childish-attempts-at-humor-but-offers-nothing-of-value ), the temperature in 1990 was about 0.07 C above the trendline. So, if one wants to align the models and the data correctly, one does need to shift the models and data relative to each other so that the models are about 0.07 C higher than the data for that one year. The observations are far from clearcut in this case. That a better understanding of the discrepancy between models and data would be useful is undoubtedly true. That this shows the models to be wrong on this particular issue is not true. For warming since 1979, there is a further problem. The dominant role of cumulus convection in the tropics requires that temperature approximately follow what is called a moist adiabatic profile. This requires that warming in the tropical upper troposphere be 2-3 times greater than at the surface. Indeed, all models do show this, but the data doesn’t and this means that something is wrong with the data. Just wondering .. does the Git differentiate between ‘normal’ errors (e,g, typos, a missing comma) that we all make from time to time, and quite literal, actual, bona fide, recognizable when seen “hair-on-fire”-type posting? HAIR ON FIRE: 1) A sense of hair-raising urgency; a figure of speech that describes a person in a state of extreme agitation, one stage above ‘wild-eyed’ and just below ‘freaked out, totally out of control.’ The experience is associated with the adjective ‘hair-raising’ but is far more emphatic. Its central semantic element is the dramatic visibility of the upset person’s demeanor. 2) To exhibit excited enthusiasm. (1) that the adjustment to the IPCC SOD Figure 1.4 was made because “the temperature in 1990 was about 0.07 C above the trendline. So, if one wants to align the models and the data correctly, one does need to shift the models and data relative to each other so that the models are about 0.07 C higher than the data for that one year.” Fine, except that if the models had been moved higher, the discrepancy between the models and measurements would have been greater, not less as actually occurred. Is he claiming that the IPCC accidentally moved the models the wrong way? (2) that the observations of warming in the intratropical upper troposphere “are far from clearcut in this case. That a better understanding of the discrepancy between models and data would be useful is undoubtedly true. That this shows the models to be wrong on this particular issue is not true.” The models, whose outputs are shown in FAR WG1 Figure 10.7, consistently predicted a warming of the order of 0.6 deg C per decade. Thus, in the 60-odd years of radiosonde data, there should have been a warming of about 3.6 deg C in total. Instead, there appears to have been a slight cooling. I would contend that a gap of this magnitude is unlikely to arise from experimental errors, particularly when the independent measurements from satellite data confirm the gap in most respects. I would not classify Gail’s posting that there are things she doesn’t know as a “hair-on-fire”-type posting. Rather the reverse. The Git knows, for example that he does not know how to fly a helicopter. Hence he is vanishingly unlikely to climb into one and attempt to fly it. As for typos, some of the biggest are the hardest to spot. Like a headline in one inch type including “BMI” rather than “IBM”. Small ones can also be devastating, like an unfortunate hyphenation leading to the trashing of an entire print-run of a popular magazine. In the instance of blog comments, we should all exercise The Principle of Charity. And yes, I overreact from time to time also. You repeatedly state that the IPCC climate models make predictions. However, a “prediction” is an extrapolation to the outcome of an event and as no such events underlie these models there can be no predictions from them. On the use of the english language and the linguistic cesspits thereof. The classic WW2 headline in an English regional rag. @DBStealey – when I had time, I use to run a weekly feature of headlines like that. My favorite (and one of the most frequent) was “_____ Greater than thought”, which I always found amusing – who is measuring thought? “the temperature in 1990 was about 0.07 C above the trendline. So, if one wants to align the models and the data correctly, one does need to shift the models and data relative to each other so that the models are about 0.07 C higher than the data for that one year.” Fine, except that if the models had been moved higher, the discrepancy between the models and measurements would have been greater, not less as actually occurred. Is he claiming that the IPCC accidentally moved the models the wrong way? Sorry, I said “higher than the data” but meant “lower than the data”. Clearly, if the trendline lies below that one data point, the models have to be shifted lower in order to start on the trendline. The models, whose outputs are shown in FAR WG1 Figure 10.7, consistently predicted a warming of the order of 0.6 deg C per decade. Thus, in the 60-odd years of radiosonde data, there should have been a warming of about 3.6 deg C in total. Instead, there appears to have been a slight cooling. I would contend that a gap of this magnitude is unlikely to arise from experimental errors, particularly when the independent measurements from satellite data confirm the gap in most respects. Your numbers sound too large here. I don’t think the models would have predicted 0.6 C per decade of warming over 60-years. There are, however, known to be some rather large artifacts in the radiosonde data due to changes in how they shield the thermometers over time, as I recall (better shielding leading to an artificial cooling artifact). The two different satellite data analyses still don’t even agree with each other very well for the tropics, let alone with the radiosondes. The disagreement was even worse until some errors were corrected a few years ago in the UAH analysis. The corrections that have had to be made in the UAH analysis over the years is in fact evidence of how the data for the long term trends is subject to a multitude of errors and uncertainties. Note, however, that the temperature fluctuations over timescales of months to a couple of years are not subject to large errors…and these fluctuations show the expected tropical tropospheric amplification (i.e., the temperature fluctuations at altitude are larger than at the surface). So, in other words, theory and data agree where the data is known to be reliable and only disagree in the multidecadal trends that are known to be subject to various artifacts. This is another reason why there is the belief that the data still has some remaining problems. I did not employ “warmists” – indeed, the closing words of my contribution were carefully chosen to make it clear that I avoid labels as far as possible. Glad to hear that you are consistent in your avoidance of labeling, but you might notice that others around here are not so. OT, but having been at UCT and having taught a course in Marine Geology at the University of the Western Cape in the eighties, I’m intrigued. Is the Cape Peninsula University of Technology any relation? joeldshore says “I said “higher than the data” but meant “lower than the data”. ” I’m glad he made that mistake, and not the IPCC. I still cannot follow the need to make any shift, however – let alone the need to cover such an important diagram with a mess of spaghetti. He also said “Your numbers sound too large here.” Please just study the referenced Figure, which I reproduced in my essay. There is a scale at the bottom. 2011-2030 gives the hotspot at 1.5 to 2 deg C, 2080-2099 gives the hotspot at 4.5 to 5 deg C – and the hotspot is larger. 69 year gap means a difference of about 3 deg C. Do you really want me to believe that hundreds of measurements over 60 years with a thermometer really cannot detect a change of this magnitude. I may be a skeptic, but I also have some faith in actual measurements – particularly when confirmed by an indirect method. For Keith’s benefit, the Cape Peninsula University of Technology grew out of the old Cape Technikon by the amalgamation of five separate campuses and is now the largest tertiary educational institution in the Western Cape. Will the term ‘Deceivists’ ever be commonly used to describe these political scientists? Probably not…. It sounds just horrible in speech. What is better? Alarmists and Warmists doesn’t quite capture the deception and dishonesty they conceal. …this, from the guy who constantly labels those he disagrees with as “ideologues”. The true Climate Change Deniers are the ones who deny that climate is always changing. They point to a degree temperature increase since the Little Ice Age as something unusual and therefore man-made. They see some tiny warming and slightly less extent of NH sea-ice since the cold 1960’s and 1970’s as unusual and therefore man-made. They see the multi-kiloyear decreasing sea-levels finally slowing down and declare it unusual and therefore man-made. Everything around them is seen as an anomaly because they believe we live on a static Earth, a veritable unchanging Garden of Eden that can only be spoiled by man. It is their religion. Eveything they see is evidence that their green world is under attack from man. And all it takes to spread such a religion is a prophet like Mann sandpapering away the historical record of warm and cold periods and smoothing the past into a hockey stick for the true-believers to begin clamoring for Witch-dunkings and human sacrifices. All of the legendary excesses of the dark ages make perfect sense now, no more thumbing our noses at those uncivilized barbarians. We have the very same barbarians at our gate, right here, right now. For them to turn the phrase “denier” around onto us is one of the greatest tricks the devil has yet accomplished. Okay, let me give you an example: Suppose I told you that the climate models if used to predict the seasonal cycle here in Rochester predict that the temperature on July 15 will be on average about 25 C higher than on January 15. Suppose you try to use that information to see what the models predict the average temperature for July 15. However, suppose you use data for January 15, 1990 and it just so happens that January 15, 1990 was an unusually balmy day in Rochester where the temperature averaged about 13 C (rather than the more usual, say, -3 C. So, if you aligned the models starting on that day in 1990, you would incorrectly say that the models forecast an average July temperature in Rochester of 38 C…which would make Rochester summers hotter than the tropics. The point is that we should not align the models to one particular day. We should align them to an average day in January if we want to see what they predict in July. Please just study the referenced Figure, which I reproduced in my essay. There is a scale at the bottom. 2011-2030 gives the hotspot at 1.5 to 2 deg C, 2080-2099 gives the hotspot at 4.5 to 5 deg C – and the hotspot is larger. 69 year gap means a difference of about 3 deg C.
That’s the future. You can’t just extrapolate the future back into the past assuming that temperatures would expected to have risen as much in the last 69 years as they are expected to rise in the next 69 years! In fact, you can look in the IPCC AR4 report to get a REAL estimate of what the models predict for the rise in the upper tropospheric tropics temperatures for the 109 year period from 1890 to 1999 (http://www.ipcc.ch/publications_and_data/ar4/wg1/en/figure-9-1.html)…and the value looks to be somewhere between 0.8 and 1.0 C per century, or roughly 1 C for that whole 109 year period. This is a far cry from your estimate of 3.6 C over the last 69 years. There are flaws in both your arguments. You have not explained why a key graph, that went unchanged through three scientific reviews, was changed at the last moment in the final draft that was not subjected to review. The IPCC did the extrapolation into the future, not me. Then, as we know, the impact of CO2 drops off logarithmically with concentration, and the concentration has risen rapidly over the past 60 years. It follows that predictions of the future 60 years are likely to provide a conservative picture of what happened in the past 60. All you have succeeded in doing in pointing to Fig 9.1 is to show that the IPCC models are completely inconsistent. Moreover, you quote the past 109 years, overlooking the fact that the growth of CO2 in the atmosphere has been highly non-linear, so we can essentially neglect any impact pre 1950. Then your estimate for the upper atmosphere warming is so close to the surface warming, that you have effectively demonstrated that the thesis, that the upper intratropical troposphere should be warming much faster than the surface, is indeed wrong. I think my classical education would indicate I should say QED at this point. Moreover, you quote the past 109 years, overlooking the fact that the growth of CO2 in the atmosphere has been highly non-linear, so we can essentially neglect any impact pre 1950. Irrelevant. Even if you assume all of that ~1 C temperature increase in the upper troposphere should have occurred after 1950, it is still WAY smaller than the 3.6 C that you claimed. Then your estimate for the upper atmosphere warming is so close to the surface warming, that you have effectively demonstrated that the thesis, that the upper intratropical troposphere should be warming much faster than the surface, is indeed wrong. Speaking of inconsistent arguments, we are talking here of the warming predicted by the models and you are the one that is claiming that the models predict much more warming at altitude than at the surface and that this is inconsistent with observations that show otherwise. So, in fact, if it turns out that the models do not predict the intratropical troposphere to be increasing much faster than the surface, then there is no inconsistency with those observations. Just to be help things along, I’ll help explain this apparent paradox: The models predict a significant difference between the temperature rise at the surface and at altitude in the tropics. However, they also predict that the surface temperatures warm less in the tropics than outside of the tropics. So, if you compare the GLOBAL surface temperature rise to the temperature rise at altitude just in the tropics, the difference between them is not so great. I think my classical education would indicate I should say QED at this point. Waving your hands around widely and raising irrelevant objections does not demonstrate anything except that you would rather engage in this sort of argumentation instead of just simply admitting that your claim that the models say the tropical tropospheric temperatures should have risen by 3.6 C is nowhere even close to accurate.